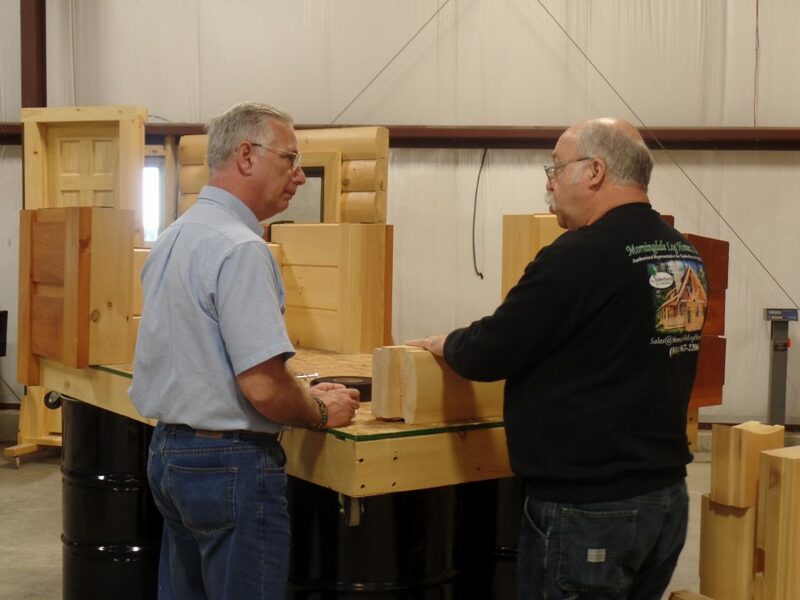 If you dream of owning a log home and would like to learn more about Timberhaven Log and Timber Homes or log homes in general, then the 2017 Erie Home and Garden Expo is the time for you to get the answers to your questions from the area’s experts! Morningdale Log Homes, the Area’s EXCLUSIVE Authorized Representatives for Timberhaven Log and Timber Homes, will be at Booth #415 each day of the Expo to share their information with you and yours. Even better, Art Hoffman, co-owner of Morningdale Log Homes, will be one of the featured speakers each day. Art’s presentation will be The ABCs of Log Homes, and he will be providing a wealth of valuable information and advice for any log or timber home buyers that attend. Whether you are looking for land, designing your home, ready to buy or you already have a log home, this presentation is meant for you! We will even be handing out FREE copies of his informative presentation on DVD to all interested parties at the seminar. No reservation is required and there will be a question and answer period after the presentation is completed. So, if you live in the Tri-State area and want to talk log and timber homes with us, stop by our booth (#415) and attend one of our free seminars!